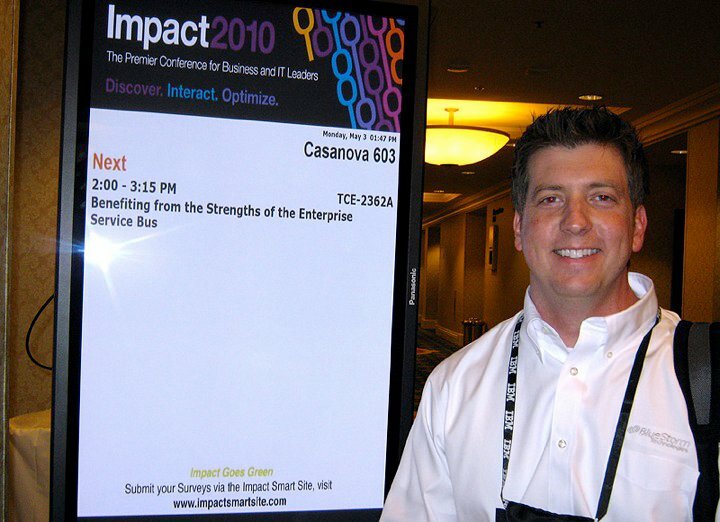 BlueStorm is proud to have our own Tony Shuba speaking at IBM IMPACT 2010 on May 3 in Las Vegas. Tony, an Enterprise Solutions Manager at BlueStorm, will present a case study titled "Benefiting from the Strengths of the Enterprise Service Bus." Program: Smart SOA and BPM Technology? Track: SOA Connectivity and Integration? It is unlikely that true SOA ROI is realized on Day 1. In fact, the additional planning necessary for identifying and designing SOA goals often means that ROI anxiety peaks as the first web services roll out the door. For a regional insurance provider, the benefits of their WebSphere Application Server and its integrated ESB capabilities, along with the System i, Lotus Domino, and secure Java based web services, grow with each new project. The benefits of unlocking siloed legacy data and sharing web services are being realized through new product opportunities, increased speed to market and improved customer service. When: Mon, 3/May, 02:00 PM - 03:15 PM?